Fatherhood is NOT a Chore. I watched a lovely video of a father bathing his baby girl a few days ago. The expertise he showed in handling such a tender baby was commendable as I know most men are scared of little babies. I guess men tend to feel they will hurt or drop the babies mistakenly. In all, it was a beautiful video, save for most of the comments where a lot of men and women on the thread praised the man for “helping” his wife... there lies my issue, in the concept that what he was doing was “helping” his wife. A while ago, a family friend missed an important gathering. His reason was that he was busy “babysitting” his kids. I found the use of the word “babysitting” quite inappropriate. So what’s wrong with saying a man is “helping” his wife with the kids or “babysitting” the kids? A lot is wrong with it! That man was not “helping” his wife bathe his daughter, he was being a father and the video is about fatherhood, not a chore. 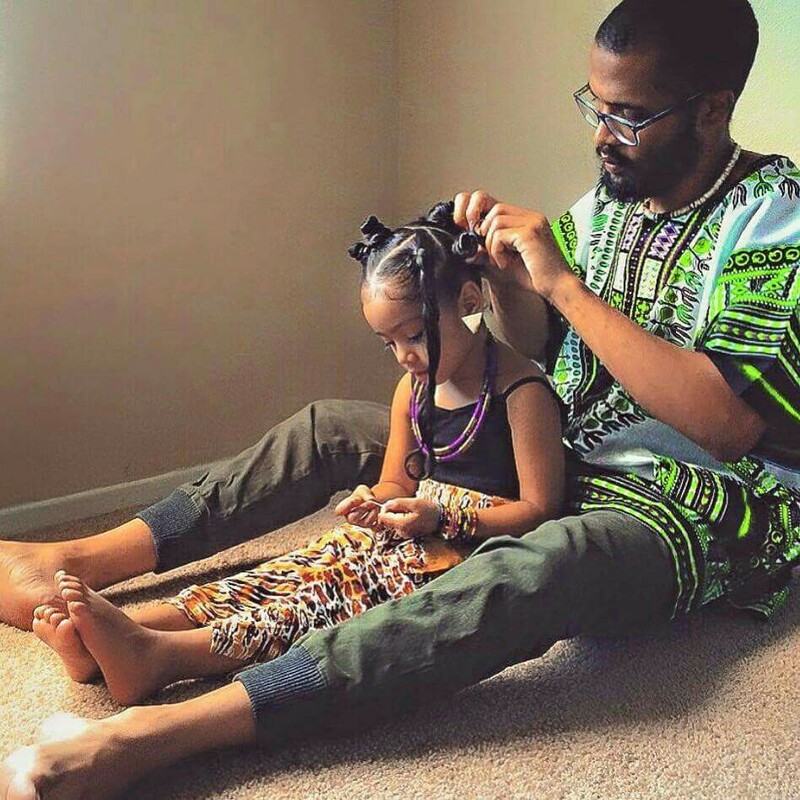 In Africa, men have taken the role of fatherhood to simply be about providing money and sometimes harsh discipline. We therefore have a culture where fathers have little bonding with their children, taking care of the children is reduced to a chore and is totally assigned to the mother. This is totally wrong. Being a parent is a full time job and even though most fathers have a job outside the home, they still have parenting responsibility to their kids – no less important or valuable than that of the mothers. Fathers need to be involved in their children’s life. Pray with them, provide for them, play with them, teach them things, spend quality time with them and take care of them. All these together make up a well-rounded fatherhood. In as much as I loved the video, the fact that the video of a man bathing his child is exceptional reflects how skewed our concept of fatherhood is. How can a man feeding his child be hailed as a hero? 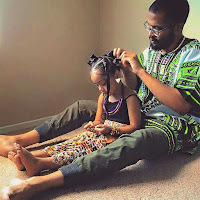 A man taking care of his children while his wife is away is almost given a crown but aren’t these what fathers should do? Babysitting is staying with other people’s children while their parents aren’t around; a babysitter is someone who sits in for a primary care giver. So technically, as a parent, you can’t babysit your kids. Using that word for fathers devalue the role they hold in their children’s life. It also reflects a detachment from our children. Every father should be glad to spend time with their children without their wives being there; it’s an opportunity to create great memories with your children and bond with them. The sad truth is that a lot of fathers are like babysitters or even worse: they have no idea of anything about their children and have to call their wives to ask where the children’s clothes or shoes are. That is very wrong and is an indication of a gap in their fatherhood. Fathers need to spend more time with their children. You brought them into this world and have a great role to play in their lives beyond simply providing financially for them and disciplining them. It's time videos of fathers doing things for their children became common. Women must stop trivializing the role of fathers by saying they are helping “you” when they take care of their children. 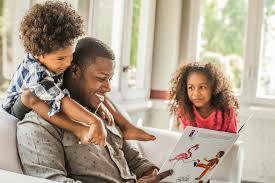 We need to allow men to have a good share of the bonding and fun we have with our children. 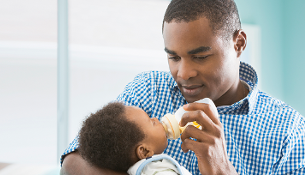 Fathers do not babysit or help with their children, parenting is not a chore. such an awesome article... Thank you for sharing. True words. I am proud to be a hands-on Dad although I sometimes feel overwhelmed and unappreciated by my partner. That's great! Please keep at it and don't be discouraged. You are being a great role model for your children and creating a strong bond with them. They will always appreciate you and have fond memories of you. So please keep on! Nice Post it is totally fabulous. Thanks for sharing with us.